Lately I've been working on something new for me: Watercolors. The watercolors you see here are among the first 20 watercolors I've ever done - I tried watercolors when I was much younger but failed pretty badly to make anything that looked like anything. The key (for me) turned out to be watercolor pencils. 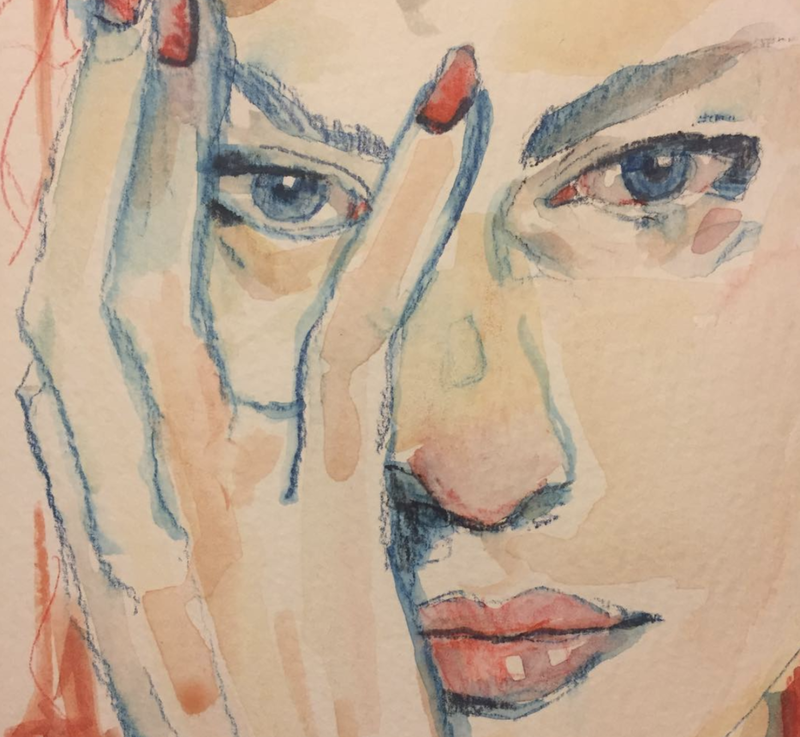 With a solid foundation of drawing, creating shapes with a pencil first and then illuminating the color with a wet brush made this difficult medium much more approachable. Watercolors combine the most extreme levels chaos and exactitude, more than any other medium. You have to be free, yet precise. You have to know, yet feel. You have to commit, then forgive. 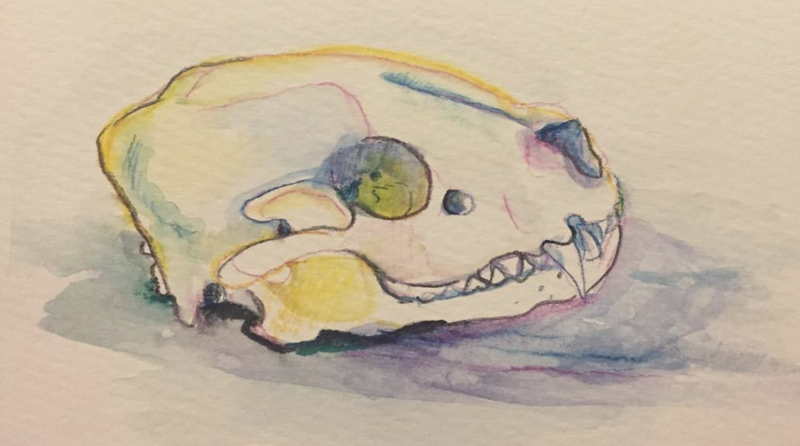 I tried painting many subjects from life, such as the falcon (two above) and this raccoon skull. Other tries with watercolor included this screen of The Lion King on Sega Game Gear - I wanted to create something whimsical yet exact. It is interesting how watercolors are a lot like computer games in this way. I loved playing my Sega Game Gear as a kid, and it didn't even matter how bad or weird the game was, I would play the hell out of it until the battery died. I had an attachable magnifying glass for the Game Gear which despite being bulky as any VR set managed to magnify the screen about 1.2 times. I had additional battery pack accessories for the Game Gear, Game Gear Game Genie, wow, I was so into that little machine. Since it was National Bird Day recently, I got excited and decided to make a watercolor of one of my favorite birds, the blue and black bird of paradise from Planet Earth. I've always been fascinated with birds of paradise as they remind me of artists and the art world: these birds have evolved incredibly strained and elaborate ways of 'being the best' and saying 'choose me' to their potential mates. They copy each other mercilessly and edge one another out by the slimmest, most arbitrated margins. The dance of the bird of paradise doesn't win based on math, it wins due to some kind of hidden, unexplainable choice. 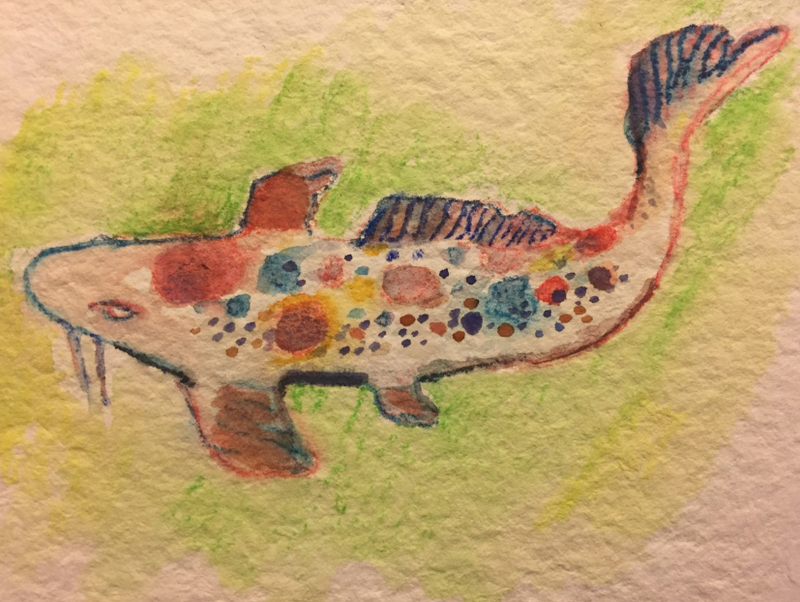 This koi fish is on rougher paper, and it turned out okay. The rough paper may be better for drawings of rocky landscapes. Finally, the inkbottle above is the first watercolor I made with the watercolor pencils I've been using. It's my first watercolor in over ten years. (All watercolors I did before this one were very bad). As for what I've been using to break into watercolor, I lucked into picking up these Caran D'Ache Museum Watercolor Pencils, which have the smoothest and creamiest application of any pencil I have ever used. The Museum pencils won me over, so I decided to amplify my color palette with this 80 pencil set of Caran D'ache Supracolor Watercolor Pencils. The Museum pencils are reputably the highest quality yet, and have not even existed until recent years. Before the Museums were released, the Supracolors were the best available from Caran D'Ache. I can see why the Museums outpace the Supracolors, and can only wonder if future developments will make ... an even better pencil! I think we are a few years away from that though, as it's hard to say how high the demand may be for watercolor pencils. One thing is for certain though - I can see why watercolors are such a prized medium. Watercolors are hard, and a ton of drawings skill, color mixing skill, and tolerance for risk goes into the enterprise. The pencils add a layer of control, but telling water what to do and where to go turns out to be trickier than one might imagine. Water is chaos and order ... and the artist has to be incredibly muscular to reign in the chaos.